Our attorneys represent women who contracted ovarian cancer or fallopian tube cancer after using Johnson’s Baby Powder or Shower to Shower products. More than 1,200 personal injury lawsuits have been filed against Johnson & Johnson nationwide alleging that the health care and home products manufacturer knew about the risks of ovarian cancer associated with its talcum powder as early as the 1970s, and deliberately declined to warn consumers – even after medical professionals beseeched them to do so. Did you develop ovarian cancer after using talcum powder? If you were diagnosed with ovarian cancer or fallopian cancer after using Johnson’s Baby Powder or other talc products, you may have a legal claim. Call toll-free (800) 254-9493, or fill out the form for a free, confidential attorney consultation. Our attorneys are currently reviewing potential personal injury lawsuits for women who were diagnosed with ovarian cancer after using Johnson & Johnson talcum powder products as part of their feminine hygiene routine. Two talcum powder class action lawsuits have also been filed against Johnson & Johnson which claim the company’s Baby Powder and Shower to Shower products caused ovarian cancer in women. All cases are reviewed and litigated by our lawyers on a contingency-fee basis. There are no out-of-pocket costs to hire our law firm, and we only receive an attorney fee or reimbursed expenses if we are successful obtaining a recovery. Our established team of female leaders leverages decades of experience to deliver relief and outstanding results to thousands of women nationwide injured by pharmaceutical drugs and devices. Karen Menzies leads the firm’s Talcum Powder litigation team. She has more than twenty years of experience in mass tort litigation and a history of practice in women’s health issues. Courts across the country have appointed Karen to serve in leadership positions in some of the nation’s largest pharmaceutical cases, including the Zoloft Birth Defect Litigation, Lexapro/Celexa Birth Defect Litigation, and Transvaginal Mesh Litigation. Karen believes in advocating for drug safety and has testified before FDA advisory boards and the California State Legislature on drug safety concerns and drug manufacturers’ conduct. A.J. De Bartolomeo has been prosecuting class actions and complex matters in courts throughout the country for more than twenty years and has extensive expertise litigating mass personal injury matters. Led by A.J., the firm obtained millions of dollars in settlements for women who suffered blood clots and other injuries after taking Bayer’s Yaz and Yasmin birth control pills. As a Court-appointed member of the Plaintiffs Steering Committee in the Yaz litigation, A.J. worked directly with scientists, experts, and members of the medical community, and coordinated the efforts and strategy of dozens of law firms representing Yaz claimants. Amy Zeman represents clients in a wide variety of medical mass injury matters, including individuals harmed by transvaginal mesh, the birth-control medications Yaz and Yasmin, the diabetes drug Actos, and the anti-psychotic medication Risperdal, among others. Led by Amy, our attorneys are currently working toward settlement with various medical device manufacturers and women who suffered organ perforation, vaginal scarring, and other injures as a result of transvaginal mesh implants that eroded, contracted, or adhered to other abdominal organs. Kristen Boffi manages client and public relations for the firm and develops media strategies to inform and reach ovarian cancer survivors affected by talcum powder. Kristen works directly with our Talcum powder clients to learn their stories and understand their needs. Previously, while working as Senior Litigation Assistant with the firm, Kristen facilitated claims and settlement disbursements for dozens of women in the Yaz Litigation. Our team also represents women who were injured by the Mirena IUD and Essure permanent birth control, contraceptive devices that may break inside the body, perforate other organs, or migrate to other organs. Additionally, we recently filed a lawsuit on behalf of a breast cancer survivor who alleges that the use of Taxotere during her chemotherapy treatment caused permanent, disfiguring hair loss. Our experience informs our understanding of the ways defective products and pharmaceutical drugs and devices can cause disproportionate harm to women. Find out how our advocacy can help. Call toll-free (800) 254-9493 or fill out the form for a confidential consultation at no obligation. We encourage our potential clients to interview law firms to make sure the firm is a good fit, and that it can properly address the clients’ needs and expectations from a lawsuit. Unlike other national personal injury law firms, our team handles your case personally and litigates it from start to finish. Our attorneys are always available to discuss the details and progress of your case at any time. The first study suggesting a link between talcum powder use and ovarian cancer was conducted in 1971, when researchers found talc particles “deeply embedded” in 10 of 13 ovarian tumors, 12 of 21 cervical tumors, one primary carcinoma of the endometrium, and 5 ovaries from women with breast cancer. Prior studies in 1968 and 1961 had already shown that talcum products contain asbestos-like fibers, and that particles similar to talc could translocate from the exterior genital area to women’s ovaries. In 1982, Dr. Daniel Cramer of Harvard Medical School conducted a study that found a 92% increased risk of ovarian cancer with genital talc use. At the time, Dr. Cramer advised a doctor with Johnson & Johnson to include a warning on J&J talc-based body powders concerning ovarian cancer risks. Over thirty years later, after more than 20 additional scientific studies have shown an increased risk of ovarian cancer with genital talc powder use, J&J has failed to change the labeling on its talcum powder products or warn consumers of the dangers associated with talcum powder use. More than 20 years after his warning call to J&J, Dr. Cramer testified in ovarian cancer litigation against the company, stating that in 30 years of examining the talc-ovarian cancer link, he concluded that talc powder was a factor in 10,000 ovarian cancer diagnoses every year. Baby powder, or talcum powder, consists of fragrance and talc, a hydrated magnesium silicate that is mined from the earth. J&J first developed Johnson’s Baby Powder in 1893 and has marketed it for decades since as a daily-use powder intended to eliminate friction on the skin, absorb unwanted excess moisture, and maintain freshness in women and babies. Talc is also used in the manufacture of goods, such as paper, plastic, paint and coatings, rubber, food, electric cable, ceramics, and cosmetics. Our attorneys have represented patients in injury lawsuits against some of the biggest pharmaceutical companies in the world, including Bayer, Johnson & Johnson, Boston Scientific, Takeda Pharmaceuticals, and Fresenius Medical Care. We have recovered millions of dollars on behalf of our clients in consumer fraud, privacy, and auto defect cases. 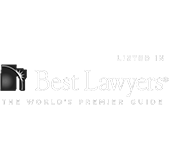 Our attorneys have been consistently recognized by our peers, our clients, and the Courts.